Submitted photo The Kittyhawk pharmacy opened Nov. 13 across from the gas station in Area A. The $10 million facility includes upgrades like a modernized drive-thru lane, state-of-the-art dispensing equipment to enhance safety and improve efficiency and double the lobby and processing space. Beginning Monday, Feb. 4, the lobby will open for the service 8 to 6 p.m. Monday through Friday for prescription pick-up only. The Kittyhawk Pharmacy address is 2399 Oak Streetreet, Wright-Patterson Air Force Base, Ohio 45433. For more information and updates, visit the AFMS – Wright-Patterson – 88th Medical Group Facebook page or call the pharmacy at 937-257-1656.
https://www.beavercreeknewscurrent.com/wp-content/uploads/sites/49/2019/01/web1_181113-F-JV466-1001.jpgSubmitted photo The Kittyhawk pharmacy opened Nov. 13 across from the gas station in Area A. 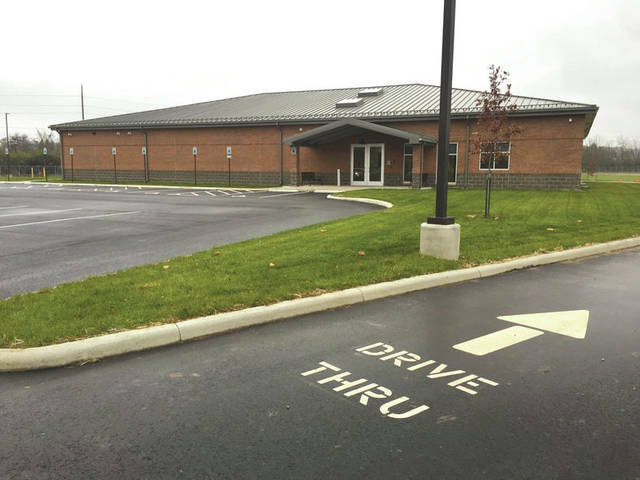 The $10 million facility includes upgrades like a modernized drive-thru lane, state-of-the-art dispensing equipment to enhance safety and improve efficiency and double the lobby and processing space.